Last weekend, Singapore celebrated her Golden Jubilee, 50 years of glorious nation building which saw her rose from a third world nation, separated from Malaysia and forcefully pushed onto her road of independence which she had not wished for, to become one of the major key players in the regional political and economic development. In fear that the Chinese-majority population in Singapore would threaten the rule and dilute the prowess of the Malay-dominant UMNO which controls the Federation of Malaya then, Tunku Abdul Rahman “talak” Singapore, ousting her from the Federation which she had joined less than two years back. Left largely on her own, the initial years were full of staggers and struggles, but through the sheer hardwork and determination of our parents, Singapore’s first taste of success is by no means an easy feat. While the dramatic transformation our island state undertaken had been repeatedly retold in media all over the world, like a fairytale, this Golden Jubilee marks only but the closure of the first chapter of her ongoing story, far from the climatic conclusion many seem to be perceiving and enjoying. Lying ahead are more challenges to follow, many of which are intangible and unpredictable. As the paradigm shift over the last 20 years or so deemed that our fate should become invariably intertwined with the increasingly turbulent global climate, it seems like our future no longer lies solely in our own hands. From the frustrating and stifling realities like escalating costs of living, increasing population densities beyond comfort limits, all-too-frequent MRT breakdowns, to other “softer dimensions” like the disintegration of our social fabric, attrition of our cultural bearings and extinction of our local heritage. The latter aspects seem lesser noticeable but far more important than how they are usually being played out for without our bearings and roots, we are nothing. On the whole, Singapore is a nation that grew so rapidly overnight, that she had hardly any time to reflect and ponder over what was sacrificed, eroded and forever lost. Too caught up with being and staying competitive, her people were tugged into the rat race, constantly instilled with invisible fears of the repercussions and possible aftermath for being left behind or simply not being Number One. In our concerted efforts as a nation to become richer in tangible gains like economic growth, integrated infrastructure, standards of living, global ranking, we had also become poorer, as we silently mourn for our loss, some deplorable beyond being reparable. Friends who visit Singapore seem to be always telling me how fast our country grows, some areas changed and developed beyond recognition in a matter of just a couple of years. Like a child who is all too eager to want to grow up and step into adulthood to prove her worth, much of her time is spent to better herself, with little left to enjoy her childhood and growing up years, let alone to smell the flowers along the way. As we admire the towering skyscrapers that grew like magical beanstalks, we also lament the demolishing of the old architecture built brick upon brick by our forebears. As we broaden our expressways to ease increasingly tense traffic conditions, we scramble to save our old cemeteries from being raised to the ground to make way for establishments in the name of modernisation and modernity. In short we live in an age of dilemma, torn between the want to constantly “majulah” and the need to stay in touch with our past. We see that happening all over Singapore, and even more so in our beloved Katong. 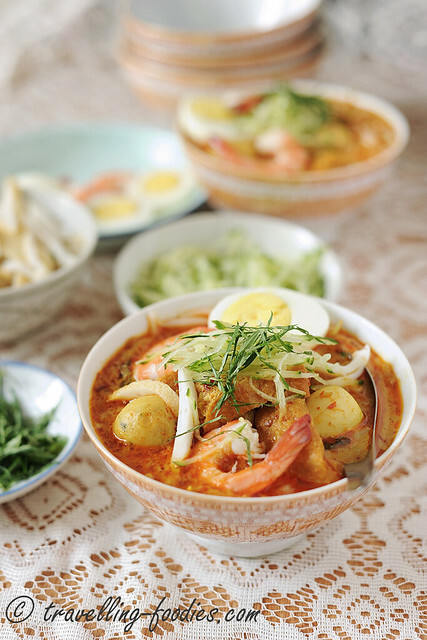 This month’s Malaysian Food Fest brings us to Penang! 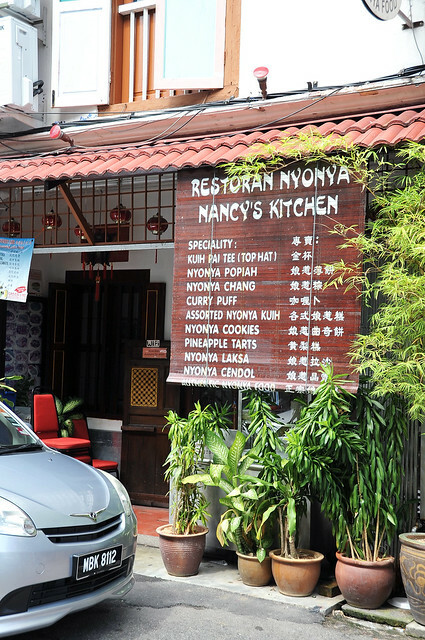 To date, MFF has brought us on a virtual culinary tour to almost all the states in Malaysia. As we come almost to an end of this long journey, it is time for us to pay a long due visit to this beautiful island found on the northern tip of the Straits of Malacca. “Modern” history of Penang stretches back almost half a millenium ago when it was part of the Kedah Sultanate that was ruled by the Siamese overlords who named the island Koh Maak to mean “Areca nut palm Island” in Thai. Admiral 郑和 Cheng Ho from the Ming Dynasty then pinned this place as 槟榔屿 on his maps, the Chinese equivalent of its Thai name, when his entourage passed through the Malay Peninsula as they set sail for the west. 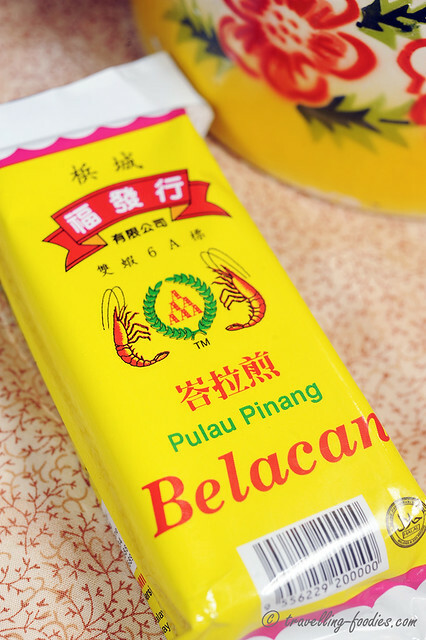 This formed the basis of its name in Malay “Pulau Pinang” which was later anglicised to become “Penang” as we know it today. Alas the trip to Melaka was only a 2-day-1-night affair. With such a short time to make do with, I had to make the best out of it! Melaka, like Penang and Singapore are strongholds along the Straits of Malacca and thus custodians of the Peranakan culture. 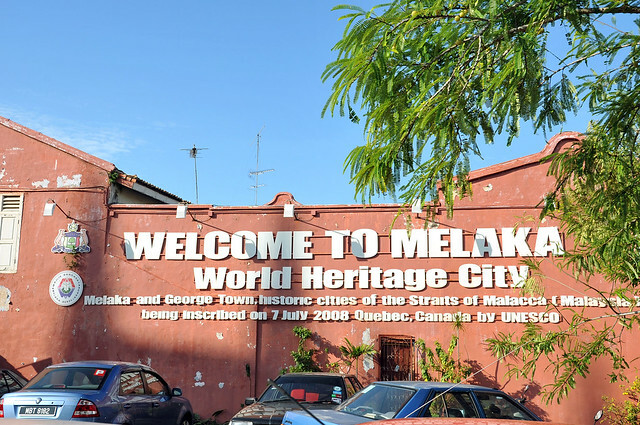 Melaka, having a longer developing history and slightly more leisurely set pace of life possibly mean that Straits Chinese heritage is much better preserved over there than here in Singapore, making it the ideal place to immerse oneself in the nyonya baba culture. And what better way to start with than food! Despite being so near to home, I’d never been to Melaka all these years. We didn’t have any travelling plans last december but I desperately needed a break! The perfect excuse to visit this city which I’d always wanted to do so but never did!